If Your Business Is Working Toward Sustainability, You're In The Right Place. Wouldn’t it be great if every employee could express your company’s Vision, Mission and Values (VMV)? But if you’re reading this, it may not be 100% true across the company. That VMV statement should not just be a cool saying on a wall. It should come from the heart and each person in the company should understand it. It may seem impossible to get the leadership team offsite for a day or two (breathe!) to accomplish this, but the long-standing benefits are tremendous. We guide you step by step through a proven process to identify what is important to your business to strengthen the foundation on which you will continue to build. 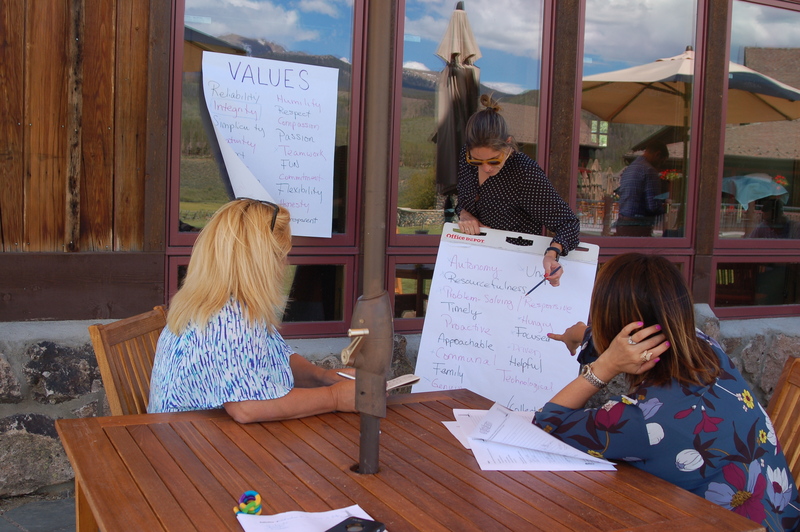 Our activities, guiding questions, and actions ensure you leave the retreat with a solid first draft of your vision/mission/values statement.